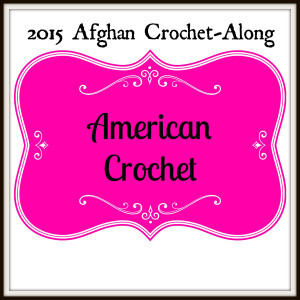 Mistie from American Crochet recently asked me to participate in her 2015 American Crochet Afghan Crochet-A-Long by contributing a 12″ version of my Fiona Square. I have resized the original square to reach 12″ below. I hope you enjoy making it and playing around with different color combinations! 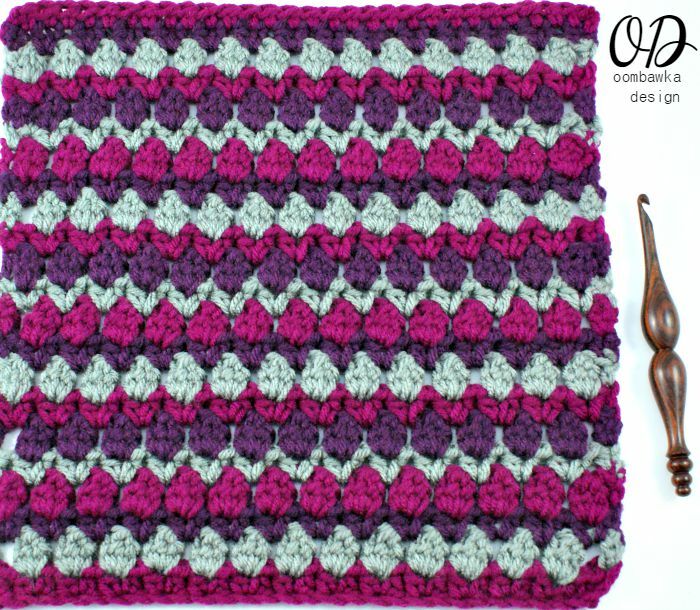 I made a baby blanket using this stitch for my friend’s baby earlier this year and it really is a beautiful stitch – filled with texture and it allows you to use so many color options – I think it would look fantastic with green for the zigzag portion and then bright colors for the tulip section – to make a garden blanket! Using a 2 color repeat – or repeating just the green for the leaves and alternating multiple rows of different colors for the tulips. However you choose to color it – have fun! dc3tog – double crochet 3 stitches together – for this specific pattern, the dc3tog stitch is worked in one ch1sp as a cluster stitch: (yarn over the hook, insert hook into the specified space, yarn over the hook, pull up 1 loop, yarn over the hook, pull through 2 of the loops on your hook) 3 times. Yarn over the hook and pull through all 4 remaining loops on your hook. 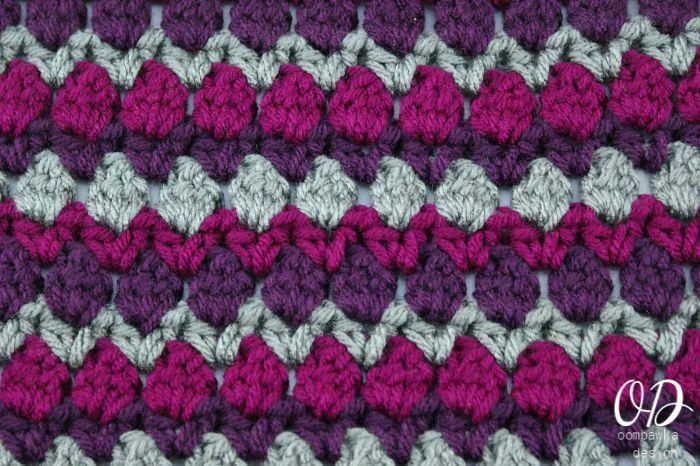 You will change colours on the last yarn over of the last stitch of each row. R1: Using Colour 1: Ch 32. Sk the first 2 chs (this counts as 1 hdc). 1 hdc in the next ch, *sk 1 ch, (1 hdc, ch 1, 1 hdc) into the next ch]*. Repeat from * to * to the last 2 chs. Sk 1 ch. 2 hdc into the last ch. Turn. R3: Using Colour 3: Ch 2 (this counts as 1 hdc). Sk the 1st st. *Work (1 hdc, ch 1, 1 hdc) into the next ch1sp*. Repeat from * to * to the turning ch. Work 1 hdc into the top of the turning ch. Turn. R4: Using Colour 1: Ch 3 (this counts as 1 dc). Sk the 1st st. *Work dc3tog into the next ch1sp. Ch 1*. Repeat from *to * to the turning chain and work 1 dc into the top of the turning ch. Turn. R5: Using Colour 2: Ch 2 (this counts as 1 hdc). 1 hdc into the 1st st. Sk the first ch1sp. *Work (1 hdc, ch 1, 1 hdc) into the next ch1sp*. Repeat from * to * to the turning ch. Work 2 hdc into the top of the turning ch. Turn. Love the pattern. How many chain would i need to make a baby blanket please.